When you hear the word blocking, most Americans probably assume the discussion is about football. That's why construction terminology is so confusing. Until you understand the concept which enables you to discuss construction blocking whether you remember the correct word or not. Blocking refers to short pieces (blocks) of dimensional lumber used in wood framed buildings. The wood blocks are generally used to add structural support to walls, floors and ceilings. They're inserted between other framing in walls, ceilings, floors and stairs. How is Blocking Used in Construction? The reason you're not familiar with this term is you never see it. The blocks are hidden in your walls, floors, etc. Unless you actively monitor your home being built or remodeled, all you ever see is the drywall. The two photos here illustrate the challenge. On top you see a lovely finished kitchen with cabinets attached to the walls behind. The second photo shows what it looks like in the walls behind the cabinets. Look closely and you'll see the blue lines outlining where the cabinets will go. Near these lines, you can see the horizontal wood pieces to support screwing the cabinets into the walls. 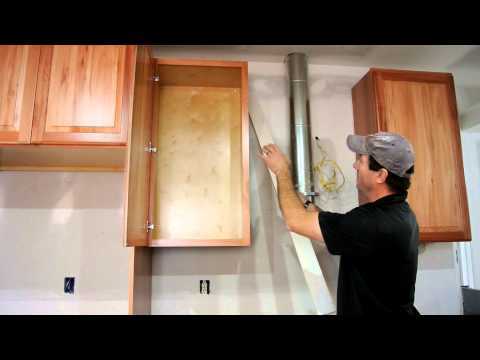 Running my handyman business, the only time I had to explain blocking to homeowners was when we were installing cabinets for a kitchen/bathroom remodel or grab bars. Grab bars on a shower/bathtub wall covered in tile is challenging. You need blocking to support the weight of an adult and costly unless we had access from the other side, ideally in a closet or hallway. Here are the most common places where blocking is used. You can find more details with illustrations in this Habitat for Humanity document on blocking. Floor joists in a sub-floor, to stiffen the floor and prevent buckling. Wall studs to support hanging cabinets in kitchens and bathrooms, shelving in closets and handrails from these walls. Grab bars most frequently found in bathrooms near the toilet and on walls surrounding showers and bathtubs. Fire blocking in areas where a fire could spread between floors or walls. For example, your HVAC system and hot water heater burn fuel so building codes require extra care between these and the living space in your home.